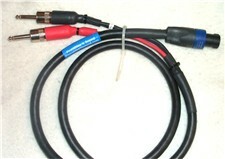 Our "Power" series Speaker cable products are all made with awesome 12 gauge 4 conductor SJEW power cable by Coleman. 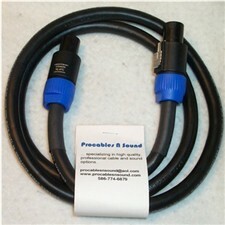 This cable is not just weather and oil resistant it is also very nice to coil. 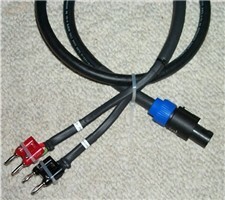 Tough cables that sound great! We use real Neutrik speakon ends (no fall apart clones) as well as G&H Copper Tipped Large body 1/4's. All our cables come in standard lengths. Optional NL4 to 2 NL2 wired 1+,1- 2+,2- on one end into 2 seperate NL4's.